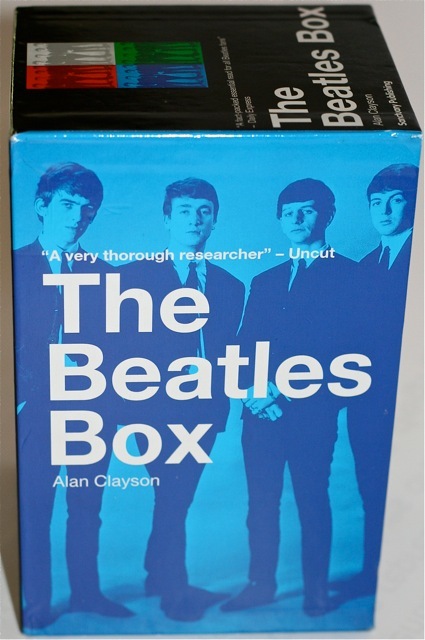 “The Beatles Box” is published by Sanctuary Publishing. 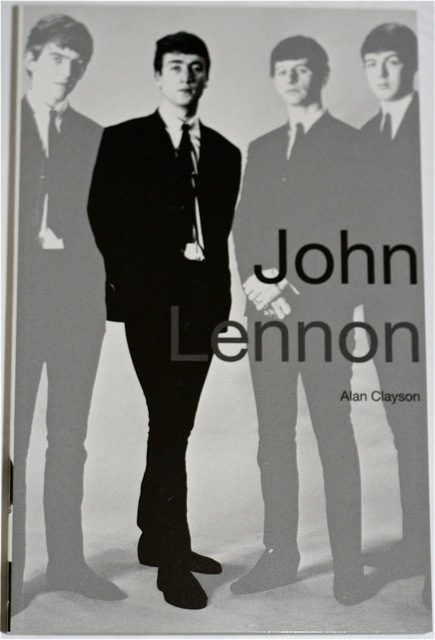 Alan Clayson is also a musician and has his own website. 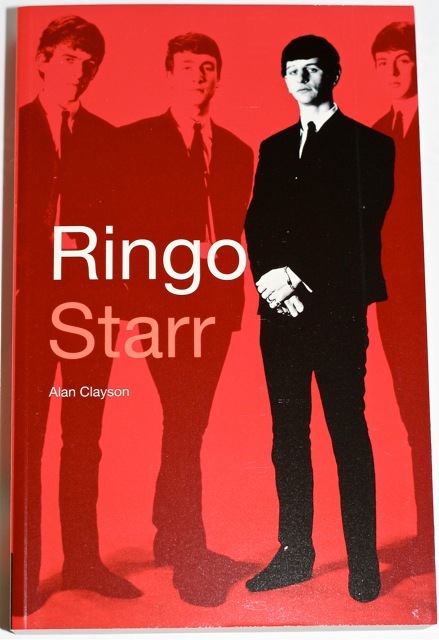 This entry was posted in Beatles, Beatles Books, George Harrison, John Lennon, Paul McCartney, Ringo Starr and tagged Beatles, Beatles Books, George Harrison, John Lennon, Paul McCartney, Ringo Starr by beatlesblogger. Bookmark the permalink. A year again, I found the George’s book separately in a shop of bargain books. 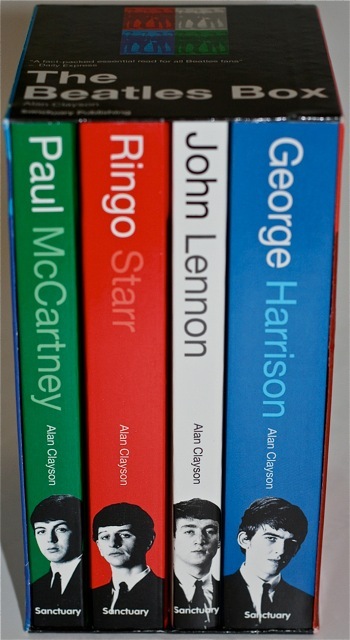 Looking the side-by-side picture, this George’s book seems to be teh larger one, strange ! 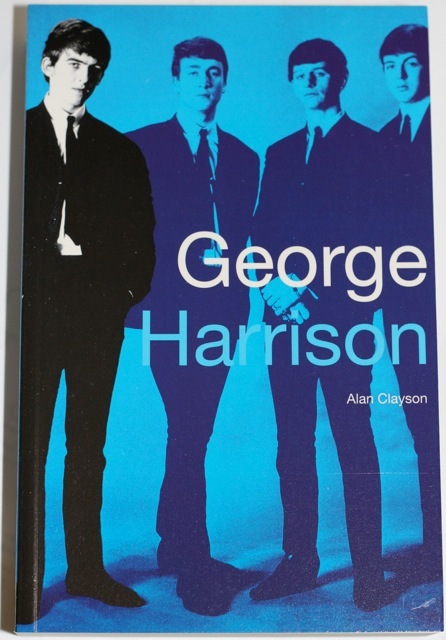 Hi Claude – yes the Harrison one is the largest book of the four with 493 pages. 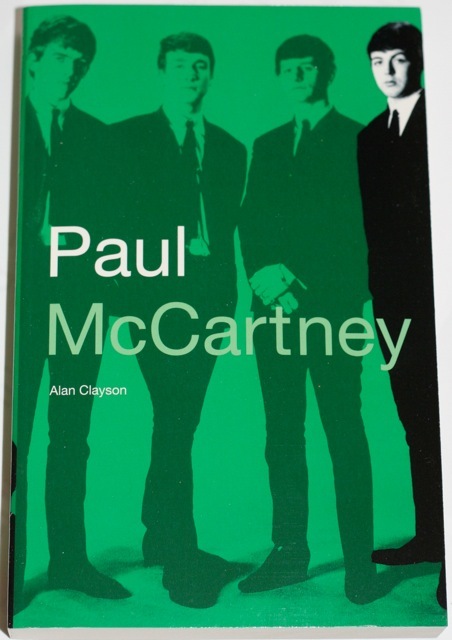 (McCartney – 303 pages, Ringo – 415 pages, and Lennon only 252 pages). Interesting…..